Samsung is preparing to take its ongoing patent war with Apple to the Supreme Court, according to papers filed by the South Korean company earlier this week. The move comes after Samsung's plea to the U.S. Federal Circuit Court of Appeals was rejected. Samsung is hoping that the 2012 ruling in favor of Apple, which found Samsung guilty of patent infringement and ordered it to pay $1.05 billion in damages to its arch rival for copying the design of the iPhone and other Apple properties, reconsidered. Samsung has already had the damages reduced to just over $500 million, but the Galaxy maker continues to appeal the initial decision. After its plea to the U.S. Federal Circuit Court was denied last week, the company is looking to take the case to the Supreme Court. 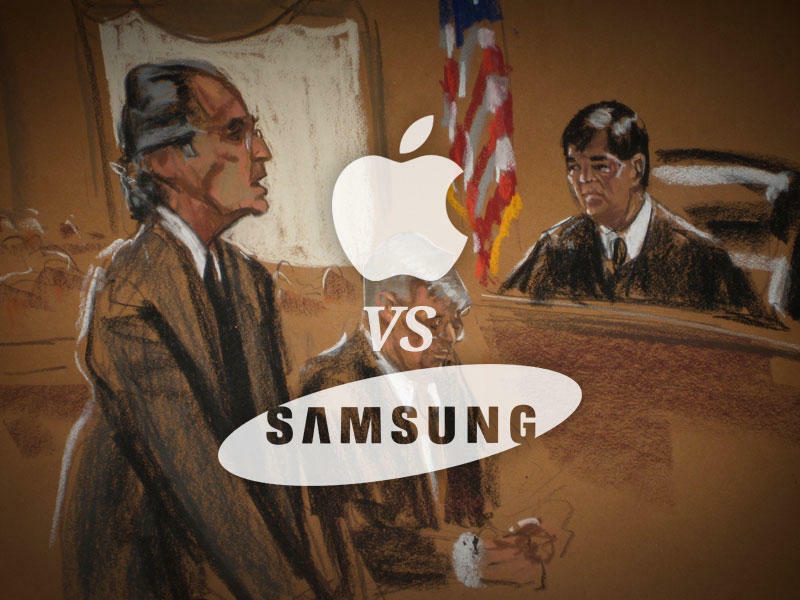 "Samsung moved to put its ongoing patent feud with Apple on hold while it presses its appeal to the nation's high court, which will have an opportunity to weigh in on perhaps the most high-profile tech showdown in recent memory," reports San Jose Mercury News. Samsung's legal team argues that the "questions present issues of enormous importance to patent litigation and the scope of innovation, especially in high-technology industries." Many of Samsung's peers, including other technology giants, have come out to support the company's appeal in recent months. If the Supreme Court takes Samsung's side, another $400 million could be wiped off the existing damages sum — but it won't be easy for Samsung to get its case heard. It could take until June next year for the Supreme Court to decide whether it wants to take the case.